Remember that great line “Just the facts Ma’am,” by Jack Friday? 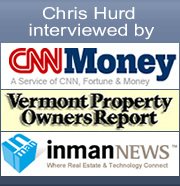 Based upon information provided by the Northwestern Vermont Board of Realtors (NVBR) for the month of October 2007, there were 138 residential units sold with a total listed volume of $36,648,509. Divide this number by the units sold (138) and you get an average listed price of $265,569. Juxtapose this figure to the actual total sold volume of $35,524,211 then divide this number by the units sold (138) and you come up with an average sold price of $257,422. Are ya having an ADD moment yet? So, “what up Chris?” you’re asking. Here you are. These numbers produced a list-to-sell variance of $8,147 or (drum roll please) a 96.9% list to sell percentage. Average days on the market for these 138 properties was 84. Armed with solid numbers, buyers and sellers alike can manage their expectations and the current realities of our local market.